Growth factor therapy is the use of growth factors to promote wound healing. Growth factors are substances secreted by the body whose function is to stimulate the growth and proliferation of the cells involved in wound healing and inflammation. Wound healing is a complex process that can be divided into three phases: inflammation, proliferation and remodeling. The use of growth factor increases the number of wound-healing cells, therefore resulting in faster wound healing. Although they can be used in medical conditions such as growth retardation, growth factors are mostly used for the treatment of wounds and other conditions such as muscle and radiation injuries. Epidermal growth factor (EGF) is secreted by the platelets and macrophages and stimulates proliferation of fibroblasts, the cells that produce collagen. EGF may reduce the healing time of wounds when applied topically. Keratinocyte growth factor (KGF) promotes the growth of cells known as keratinocytes, cells that secrete a protein called keratin. Transforming growth factors (TGFs) are a group of substances with different properties. TGF-a stimulates growth and migration of keratinocytes and fibroblasts in the affected area. TGF-b1 and TGF-b2 have been shown to promote the growth of new blood vessels (angiogenesis), ensuring adequate blood supply to the healing wound. Vascular endothelial growth factor (VEGF) is a growth factor that promotes angiogenesis. Platelet-derived growth factor (PDGF) is a growth factor secreted by the platelets, which attracts fibroblasts and macrophages to the area of injured tissue. Growth factors for wounds are often applied locally (topically). They may come in the form of gels that are applied directly to the wound. Palifermin, a type of keratinocyte growth factor, is given via injection into a vein and is indicated for the prevention of oral mucositis in patients receiving radiation therapy. Another use for growth factor is in dental procedures to enhance bone growth comes in the form of a dental filler. Growth factors can also be incorporated into wound dressings or commercially available skin grafts. 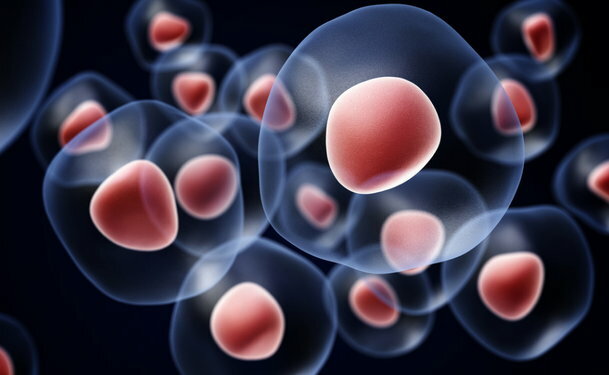 One advantage of growth factor therapy is that it uses the body's own cells to promote healing. Its use may also speed up the time it takes for wounds to heal, resulting in a greater reduction of disability or discomfort for the patient. Since it is often applied topically, the incidence of systemic side effects is minimal. Growth factor therapy is a treatment option for wound healing and can be combined with other forms of treatment. In certain cases, it has been used in combination with topical oxygen therapy in deep partial-thickness (second-degree) burns. Generally, growth factors can be used in patients with any type of wounds. Currently, growth factors are most often used for patients with chronic, non-healing wounds, such as chronic venous leg ulcers and diabetic foot ulcers. One study reported the effectiveness of growth factors in combination with topical oxygen therapy for deep second-degree burns. Caution should always be taken when using growth factors, as their role in clinical practice is currently limited and further studies need to be done. Remember to always ask your doctor's advice before undergoing new medical therapies.